This is a large and cool 1970’s 27x43mm. OMEGA Constellation megaquartz in stainless steel. 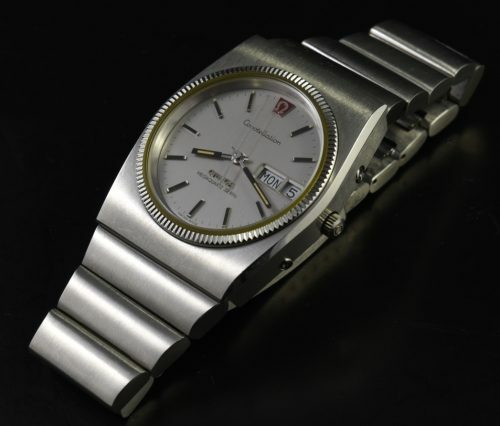 and having the original full-length OMEGA bracelet, coin edge bezel with original crown and dial. 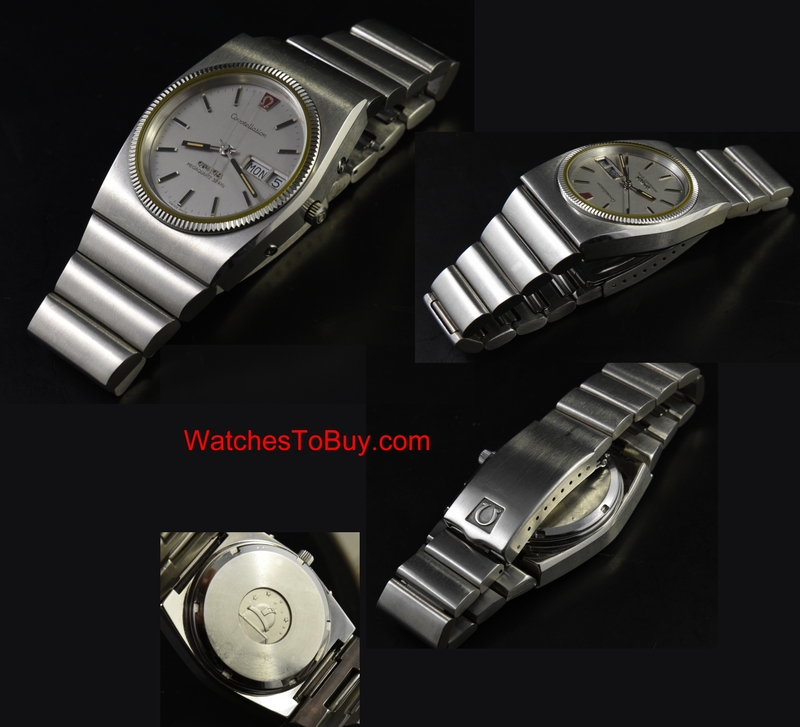 These battery operated OMEGAS were amongst the most accurate watches ever produced during this era. This watch was fully serviced-accurate. Only $1595.